The next morning, Dr. Spencer decided to put the magnetron tube near an egg. He was joined by a curious colleague, and they both watched as the egg began to tremor and quake. The curious colleague moved in for a closer look just as the egg exploded and splattered hot yolk all over his amazed face. Initial reactions were unfavorable. Not surprisingly, many were highly reluctant about these first units, and so they found only limited acceptance.....but not for long. Further improvements and refinements produced more reliable, lightweight and less expensive Microwave ovens. 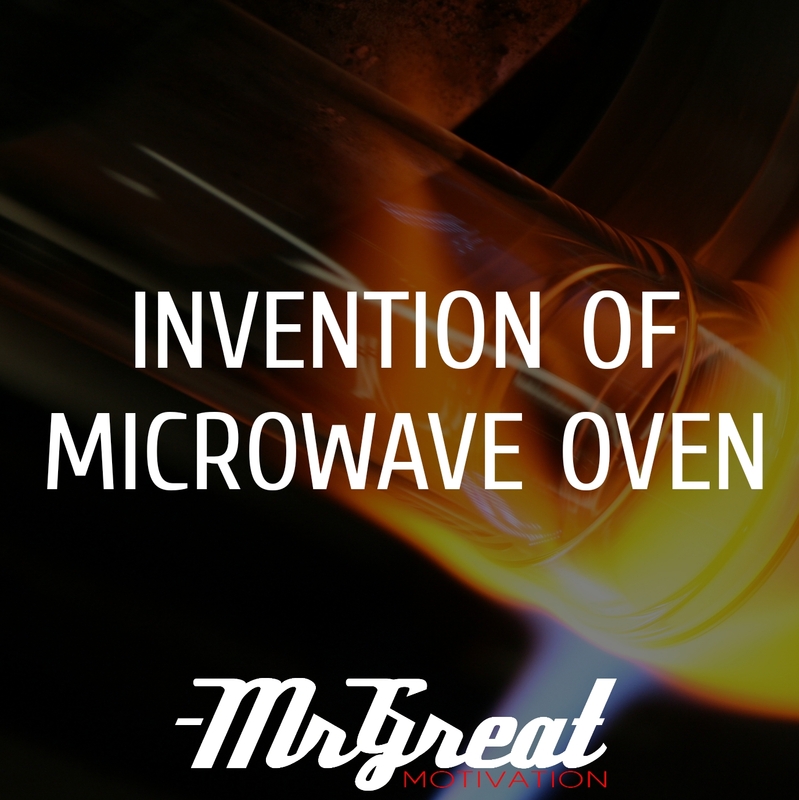 By 1975 sales of Microwave ovens exceeded that of Gas Ranges in the US. It is not necessary that someone always has to go the extra mile in search of new ideas. Ideas can "happen" as a by-product of something else. But what you choose to do with them may lead you to change many lives!! !